Our Colour changing floodlights have a truly amazing effect at night, whether you want to light up an interior or exterior space these LED flood lights will create dazzling colours for an eye-catching display. 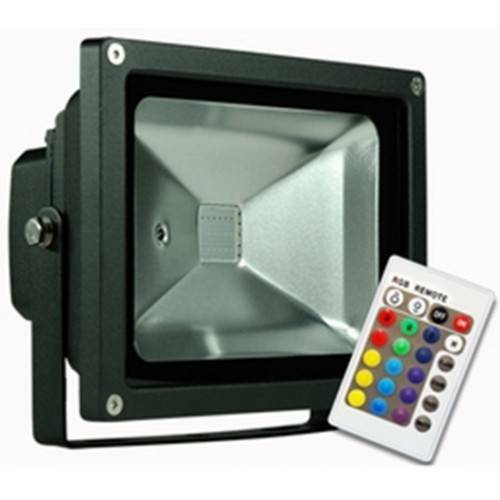 Our RGB Floodlights allow you the ability to control the colour, intensity, patern mode and on/off on one or more units simultaneously via a single remote when all respective units are situated within the pick-up distance. All IR (infrared) controlled RGB floodlights now come with built-in memory capacity, which means they will always return to the last setting when turned off/on by the remote.